Historically, Pruszcz Gdański was located at the lagoon Lake, which guaranteed a direct access to the sea area. Thus, this area was one of the end points on the route connecting tge Baltic amber coasts with the Roman Empire areas. Location at the contemporary lake affected both the development of business contact, as well as enriched a diet of seafood products. Beyond hydrological factors, for the development of settlement positively affected not only lowland terrain, but also fertile soils bordering Żuławy Wiślane and Pobrzeże Wschodniopomorskie. Finding the relicts of buildings and necropolis emphasizes how strongly developed in economical and social way was the population of this area, identified consecutively with Wielbark and Oksywie cultures. The surroundings of Pruszcz Gdański were significant center of provincial and far-reaching trade. Thanks to the numerous archeological analyzing and extensive burial sites, it is known that this region was characterized by a very dense population. 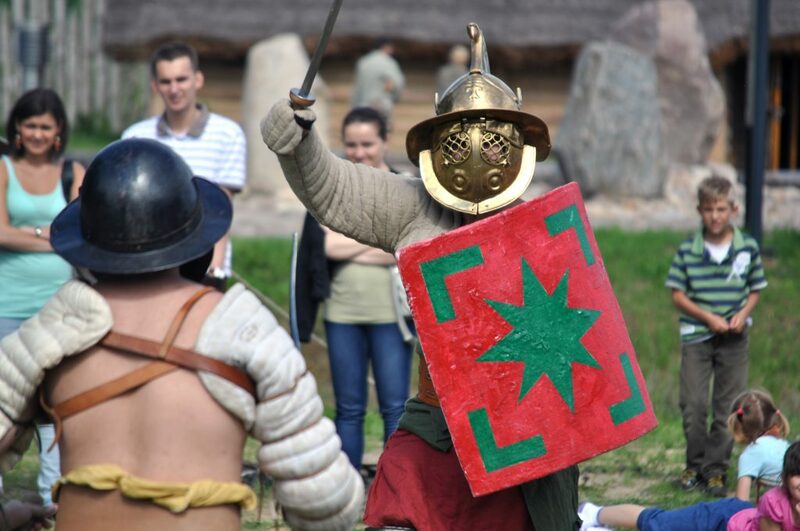 Numerous archeological finds of coins, as well as goods and objects imported from the Roman Empire, being found in Pruszcz Gdański indicate a significant amount of goods that locals had to offer to newcomers. Additionally, richly equipped graves prove a high level of society. 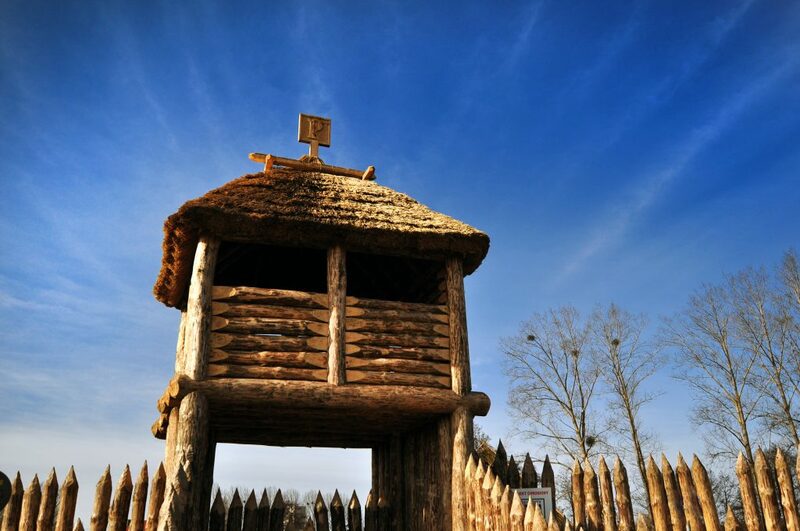 Reconstruction of the ancient amber trade village and the Amber Route from Roman period is a unique tourist product in the country. Project implementation will increase cultural and tourist attractiveness of Pomerania, through the promotion of cultural heritage of the Baltic Sea. Amber Route and trade with Romans is poorly promoted and developed element and, after all, it is an important and distinctive output of the cultural heritage of the region and this part of Europe. Factoria consists of: The Chief Hut – museum exposition, The Market Hall – a place of ‘meetings with archeology’, and reconstructions of The Amber Craftsman Hut and The Blacksmith Hut, all of them were intended as a place of connection of new technologies with the richness of archeological monuments and the beauty of amber exhibits. The result of this project is an extremely interesting object where you can not only relax, but also learn about life nearly two thousand years ago. Copyright © 2019 Faktoria Pruszcz Gdanski. All Rights Reserved.